Aged 18, Naomie Morris is now in 6th Grade at Paynesville Elementary and Junior High School in Monrovia. Living with her parents, she is the oldest child of three boys and three girls, and so has to shoulder a lot of responsibility to help support her family. Her father has been out of work for over two years with illness, and so with their financial struggles, they usually only manage to eat once a day. Naomie says that 'sometimes it is hard, we live by the grace of God, and sometimes my sister’s family helps give us some food'. Two years ago, Naomie had a child of her own named Tama. Tragically, in June 2017 her partner and Tama's father drowned in an accident while crossing the river in a canoe. Now she must support Tama alone, as well as her siblings and parents. 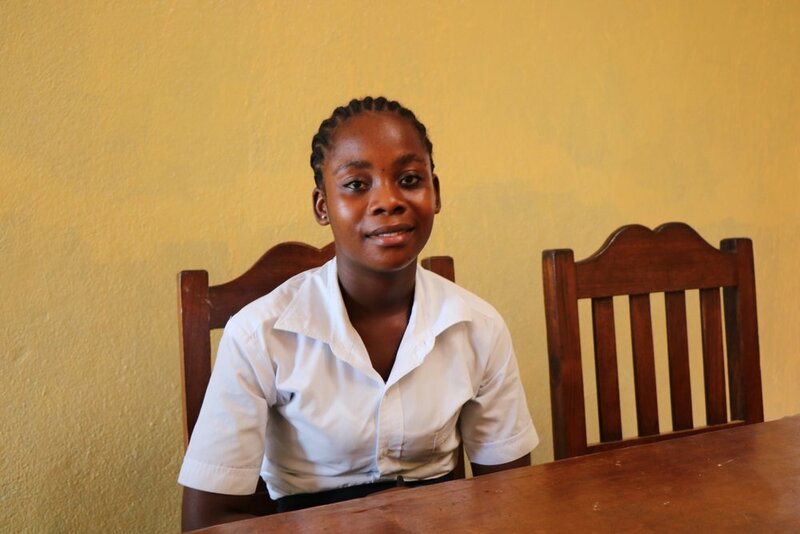 While Naomie is at school, her mother helps look after the baby, and she is determined to still continue her education and do well, studying hard when she gets home. Naomie says: 'When I graduate, I want to become a nurse, anywhere God gives me the opportunity, and later, I want my daughter to work alongside me as a medical doctor'. Currently, Street Child covers the costs of Naomie’s school fees and her uniform. This gives her the opportunity to continue her studies and work towards entry at the competitive nurses’ colleges, a chance she otherwise would not be able to afford.